Sorry about the long delay between reviews, folks…life has intervened. (To make a long story shorter: I’m struggling with my third novel, CHANGING FACES, which is due out in a few months via Twilight Times Books. And Jason recently finished a new novel, KRAKEN MARE, with co-writer Chris Smith…can’t wait to see that one come out.) But I do have an interesting book to review today…let’s get to it. So, Iolanthe and Prince Titus might be young, and still somewhat inexperienced, but they are powerful. (Iolanthe in particular is the most powerful magician anyone’s ever seen, as she has command over all four elements — Air, Fire, Earth, and Water.) But the Bane is a coercive sorcerer who’s been stealing other people’s bodies for years, in order to keep himself alive and keep his reign of terror going. How are these two naïfs going to beat the Bane? Ah, but I promised you a romance, didn’t I? Trust me, there’s plenty of that. Prince Titus must lean on Iolanthe quite heavily, and they are in danger throughout as the Bane is wily, skilled, and has learned much during his unnaturally long life. Yet there’s plenty of time for quieter moments, too…it’s obvious these two are deeply in love, and that love is based on friendship and shared experiences. But that’s only one part of THE IMMORTAL HEIGHTS. There were many other questions to be answered here, including, “Who were Iolanthe’s parents, really? What happened to Prince Titus’s father? What will happen to Kashkari, his brother, and his sister-in-law during the epic battle?” Ms. Thomas answered these questions carefully, with great skill, and yet with an odd sort of reserve that I tend to view as particularly British…so it’s historically as accurate as a writer of our times can get, while still being a rip-roaring action-adventure novel. As for Kashkari, I enjoyed the additional glimpses into his life and career. (In the previous two novels, Kashkari was a fellow teenage student at Eton with Prince Titus and “Archer Fairfax,” Iolanthe’s masculine alter-ego.) He was a useful presence, and while he, himself, did not have magic, he respected those who did. He could and did make plans, and aided Prince Titus and Iolanthe/Archer quite a bit, which I appreciated. Still, I wanted a lot more from him, as I sensed quite a story there, and I didn’t get it. Bottom line: I enjoyed THE IMMORTAL HEIGHTS quite a bit. It’s a fun book with excellent historicity, a great age-appropriate romance, and it wrapped up all the loose ends nicely (with the exception of Kashkari). But I was left wanting more from the minor characters, and didn’t get it. As promised, here’s my first new review in months…though there will be more in the New Year from me, Jason Cordova, and a few guest reviewers. 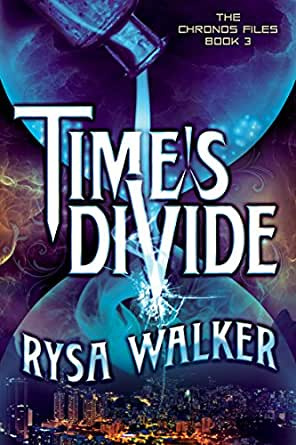 Rysa Walker’s dynamic trilogy The Chronos Files wraps up heroine Kate Pierce-Keller’s story in TIME’S DIVIDE, but there are other stories in her universe nearly as compelling. And because the related novella, “Time’s Mirror,” had a number of interesting tidbits that helped to better understand what was going on in TIME’S DIVIDE, I’m going to start with that. “Time’s Mirror” features Prudence Pierce, Kate’s maternal aunt. Prudence is a teen in the prime of life growing up in the 1980s when she accidentally activates a Chronos key, vaulting her hundreds of years into the future — and under a pile of rubble. Prudence, you see, has a gene that allows her to time-travel, similar to her yet-unborn niece, Kate Pierce-Keller. (Kate’s mother, Deborah, apparently only carried this gene and couldn’t have activated the Chronos key, but that’s another story entirely.) And Prudence had no idea that her mother, Katherine, was from the far future and marooned in our time — much less that her real father, Saul Rand, was a murderous psychopath bent on reshaping the world in his own, demented image. Anyway, Prudence is rescued from the pile of rubble and given rehabilitation. But along with her favorite foods not existing any more, there being almost no animals left (including cats and dogs) and other, various changes, she finds out that her physical therapist was literally born to be what she is; there is now next to no choice in what you do or how you do it. Worse yet, everyone is now genetically predisposed to enjoy to the fullest whatever it is they’ve been programmed to do. And as a teenage girl from our time, she obviously can’t abide this at all — nor should she. Prudence decides she’s going to try to return to her own time, and Tate decides to help her. But rather than landing back in the 1980s, she ends up somewhere else — somewhere her real father, Saul Rand, can take advantage of her youth and inexperience. Saul tries to befriend Prudence, but Prudence is wary, mostly because she knows Tate was one of Saul’s best friends yet Saul doesn’t seem to care whatsoever what happened to Tate and indeed never asks about him. Why is Saul pretending to be nice? Well, he needs her for his new religion, called the Cyrists. He is Brother Saul, and she is Sister Prudence, and between the two they manage to give “prophecies” (actual information based on historical events); however, sometimes a personal touch is needed, and Saul can no longer time-travel as he’s in the same boat Prudence’s mother Katharine is in. So Prudence must do that instead. Overall, “Time’s Mirror” explains just why Prudence Pierce (also known as Prudence K. Rand) is not only important, but is actually a tragic figure. The way she’s used by Saul is despicable; the way her own, future self tries to help her only adds to Prudence’s struggles. Back to Kate, Prudence’s niece, who remains in big trouble. She and the two men she loves — Kiernan and Trey — are both in the cross-hairs of Saul and his minions. Kiernan is more of a friend, while Trey is the young man Kate yearns to be with…yet both have been harmed already by Saul and his Cyrists, with worse to come unless Kate can avert Armageddon. And this time, Brother Saul has prophesied that Armageddon is coming, and has only given the faithful Cyrists the needed vaccinations against a terrible disease. Prudence does not want Saul to do this, but by this time, she’s been so used and abused by Saul (much less all the time-traveling she’s done) that she doesn’t have much of a sense of self left. Prudence is assumed by Kate to be psychotic, but that isn’t correct, as Kate finds out during the course of TIME’S DIVIDE…Prudence is mentally damaged, yes, but she still loves her sister Deborah and to this day has never forgotten Tate, the one man she’s ever loved. Kate and Prudence must make common cause, but their alliance is uneasy to begin with and is made worse by various iterations of the younger Prudence popping into and out of time to cause trouble. And to add even more fuel to the fire, there’s another version of Kate running around — a heavily pregnant one — that’s been captured by Saul and is being forced to do Saul’s bidding in the name of his new religion, the Cyrists. So, there’s multiple versions of Prudence, and there are two versions of Kate. And there’s a nasty biological virus that Saul is about to unleash, but has been canny enough to plant among a terrorist cell featuring yet another crazy time-traveler stranded from the same far-future era as Saul and Kate’s grandmother Katherine. How can Kate, Prudence, Trey, Kiernan, and the few good Cyrists about avert tragedy? And will everyone live happily ever after (even Prudence)? Trust me on this — if you have read any of the previous Chronos Files novels, you will want to know how this book ends. You may not agree with all of it (goodness knows, I didn’t), but you will be caught up in a splendid, action-packed thriller that you don’t want to end. Bottom line? Read the novella “Time’s Mirror” first, to completely understand why Prudence Pierce (AKA Prudence K. Rand) is so important. But then do read TIME’S DIVIDE, and ask yourself — if you were in Prudence’s shoes, would you be able to do as much? Folks, it’s been a long, tough slog, but Shiny Book Review is back! Note that we have a slightly different address — it’s now shinybookreviews (with an -s) dot com — but we are the same people, Barb Caffrey and Jason Cordova, doing the same things. Folks, please forgive the rather unenticing title of this review. As I’ve been working hard at turning in my third novel, CHANGING FACES, I haven’t been able to review for a few weeks. A few months ago, I asked Noah Hill if he’d like to do another review for SBR, and he said, “Sure!” So this is his second review, with more to come in the weeks that follow. Schooled in Magic is a familiar story, told in an interesting way. Emily, our unlikely protagonist, is transported to a magical world against her will, where she must learn magic, try to make friends, and fight against the forces of evil. I know what you’re thinking: “Oh, no! Not another Harry Potter rip off!” Have faith, and keep reading; I thought the same thing at first. Overall, I found Schooled in Magic to be quite enjoyable. The characters were fun, the evildoers were properly evil, and there were several twists and turns that left my head spinning. Mr. Nuttall was able to capture the darker side of fantasy, while keeping the story fun and lighthearted. It made me smile, it sent chills down my spine, and it made me laugh, all within the space of a few pages. This ability to rapidly shift mood is something that many authors lack. The one flaw that I saw in Schooled in Magic was voice, or a lack thereof. There were several places in the book where I thought that voice was missing. More specifically, I felt that our protagonist wasn’t given the voice that she deserves. A part of the problem is that at times I felt as if the author were using Emily’s internal monologue as a vehicle for his own beliefs about our world. I could very well be wrong, but I think that there were times when she was thinking and acting in a way that was very strange for a young girl, without a solid explanation in her character background. Despite this, Schooled in Magic is a story that was able to grip me fairly early and pull me through those spots. If you love a good fish-out-of-water story, a fun look into another world, and a quick read that pulls you along by your collar, then Schooled in Magic is a good, solid read that you will probably devour in one or two sittings, as I did. Reviewer’s note: Keep an eye out, as I’ll be reading and reviewing more of this series in the weeks to come! Chronologically, TIME’S ECHO is a novella that explains just who Kiernan is — the mysterious, dark-haired stranger who seemingly popped up every time Kate was in trouble during TIMEBOUND has an interesting backstory of his own. Kiernan, you see, is from the early 20th Century, and like Kate, is able to use a Chronos device in order to travel through time. Not being limited to the world he grew up in, Kiernan has been to the 21st Century, 22nd Century, even the 23rd Century…but his heart belongs to Kate. However, the Kate he knew — a nineteen-year-old, rather feisty Kate who’d entered into something akin to a common-law marriage with him — is not the Kate we got to know in TIMEBOUND. You see, the same bad actors who were causing trouble in TIMEBOUND have already caused trouble for Kiernan and Kate…and the history and life experiences that created his version of Kate Pierce-Keller are so altered that the Kate who now stands is not only younger than the one he knew, but no longer recognizes him. So in TIME’S ECHO, we actually get to see a little bit of nineteen-year-old Kate. She’s deeply in love with Kiernan. They have built a life that’s unconventional in that they both time-travel at will, but it works for them. And so long as they both maintain their Chronos devices (an amulet that glows a different color for each time-traveler, but looks like a dull metal to non-time-travelers), they will continue to be in the same timeline and be able to stay together. Then disaster strikes. The Cyrists decide that nineteen-year-old Kate is too meddlesome, so they figure out a way to remove her as a threat to them by some adroit shifting of the timeline. This also takes nineteen-year-old Kate away from Kiernan, who pretends he doesn’t know who she is when asked by Prudence, Kate’s aunt. But in reality, he is steamed, and vows to find out just what happened to Kate. That’s why Kiernan shows up to protect Kate so often in TIMEBOUND. She’s not the Kate he knew, no. She’s younger, more innocent, hasn’t had the same experiences, and is in love with another young man, Trey. But she’s still Kate, and he still loves her. TIME’S EDGE goes back to the Kate we know. She’s working with Kiernan and her aunt, Katherine, to retrieve as many Chronos devices as she can in order to keep them out of the hands of Saul and his Cyrists. Working with a man who’s in love with you when you’re in love with someone else is not easy…but Kiernan has vowed to help bring down the Cyrists, and Kate needs his help, so they’re doing the best they can. As for Trey, he’s learning to love Kate all over again, but their relationship isn’t quite the same as before. (This is because the original relationship Kate built with Trey was wiped out by a time-shift. Note the parallels here between what happened to Kiernan’s Kate, and Kate’s Trey.) But they’re working at it, and Trey still does feel something for Kate…Kate has hopes that eventually, their love relationship will be as strong as it was before. Throughout TIME’S EDGE, there is a palpable sense of danger. Kate has already been targeted by the Cyrists before, and they’ve missed twice. How long can she keep going before they kill her and wipe away all memory of her from the timeline? And what will happen to the other time-traveling historians in the wake of the Cyrists’ new religion? All of these questions will be answered, but in turn will raise even more questions — which is the main reason why I can’t wait to read TIME’S DIVIDE (book three in the Chronos Files)…but I digress. These are excellent stories, full of action, great characterization, witty dialogue, and fine romance. Despite the apocalyptic nature of the Cyrists and all of their menacing power, there’s somehow a sense that Kate, Trey, Kiernan, and Katherine can prevail. This hopefulness suffuses the entirety of the Chronos Files series, and is the main reason I find these stories to be so addictive. 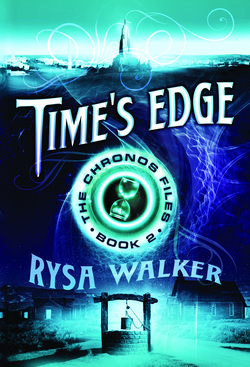 Bottom line: Read Rysa Walker’s Chronos Files, or you’re missing something extraordinary. Folks, I’m sorry about the length of time between reviews here at Shiny Book Review. There are a number of reasons for that, including a catastrophic hard-drive failure and putting the final touches on A LITTLE ELFY IN BIG TROUBLE while also trying to hash out editorial changes for CHANGING FACES. Both are due out within weeks of each other (no more than six weeks between them), so I’ve been completely focused on that to the detriment of much else — including book reviewing. That’s why you’re getting a 2-for-1 special today. I’d hoped to review Emily St. John Mandel’s STATION ELEVEN on Thursday, but time did not allow. And I’d planned already to review Rysa Walker’s TIMEBOUND for our Romance Saturday at SBR promotion. So, here we are…let’s get started! Emily St. John Mandel’s STATION ELEVEN is a post-apocalyptic dystopia of an unusual type. Mandel postulates that a nasty flu, something thousands of times worse than the Swine Flu or even the Spanish Flu of 1918 has hit the entire world. This flu devastates the world economy, to the point that almost nothing can function. People are thrown back into barbarity, left without electricity, without phones, without computers. And must try to survive. Well, Mandel uses an unusual device to structure her novel. She finds a way to revolve everything around one man — an actor, Arthur Leander. While he’s not the plague-carrier, and while he’s also not truly the protagonist, everyone at the heart of this novel knows something about him and are connected, in a weird way, to one another — whether they know it or not. We start out in our world, as Arthur Leander is on stage for the very last time, performing as King Lear. The fiftyish Leander is about to have a heart attack — meaning he misses the plague and all its fallout — and several people try to revive him, including Jeevan Chaudhary. Jeevan comes into contact with a child actress named Kirsten Raymonde, who’s been standing by watching Leander die without anyone paying attention…then as we see Jeevan struggle to keep himself and his paraplegic brother alive during the next few desperate weeks, Kirsten fades to the background. She’s next seen at the age of twenty-eight, still an actress, performing with the Traveling Symphony — a group of actors and musicians who travel about using horse-drawn wagons cannibalized from old pickup trucks. She’s grown old before her time, has lost teeth, has dealt with privation and even had to kill people who’d tried to hurt her or others in the Traveling Symphony. But she still believes in what she does, and feels it’s the only way she can make any sort of positive difference in the world. See, in twenty years, the world has lost nearly everything. Medical care has devolved; if you step on a nail, you can die of lockjaw as no medicines are available to help you. If you get food poisoning, you probably will die, because you’re weaker than you should be due to the lack of decent food. If you have a fever, the only treatments that seem to work are holistic things like soaking rags in water (which maybe isn’t even cold, as most people can’t figure out how to make ice any more, absent electricity and refrigeration). And groups like the Traveling Symphony are warmly welcomed as a way to break up the monotony. Then Mandel shifts again to Leander and his three ex-wives. 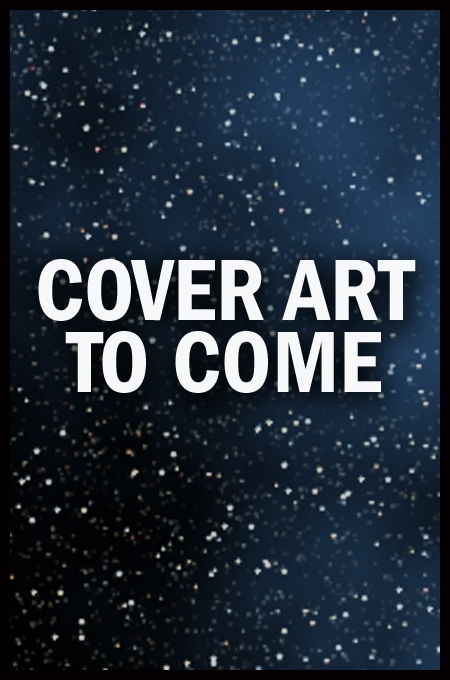 We see the first of them, Miranda, who’s an artist — it’s her graphic novel, not-so-coincidentally called “Station Eleven,” that Leander gives to Kirsten a day or two before he dies, as Leander was given it as a present by Miranda and he doesn’t know what else to do with it. And we view her life before and after Arthur — she becomes a powerful executive and dies in Malaysia of the plague. And we see Leander’s best friend, Clark, who gets stranded in a regional airport in Michigan due to plague concerns, who eventually runs into Kirsten as well. All of this sounds much more amorphous than it actually is. Mandel found a way to make this humane. She shows all of these people in a nonjudgmental way. They are all flawed, including Kirsten. But they all have their strengths, too — and what’s good about them, what’s creative about them, is what somehow survives despite the way the economy has collapsed and also despite the way many humans have actually seemed to embrace the barbarism. Mandel looks at consumer culture — iPhones, laptops, even handheld book readers — with a jaundiced eye, but even there shows the good things about it. How it helps to connect us. How losing it suddenly actually makes the barbarism that follows even worse. And how some people in this new, post-apocalyptic world don’t even want their children to know just how far the human race has fallen — because they’re afraid if they admit it, they’ll have to deal with their own buried grief over what they have become. All of this is told in a decidedly matter-of-fact way. This is just what life is, after the plague (a word Mandel doesn’t use by the way). This is how they all have to survive. But the hope is that if some — like Clark, who’s decided to make a museum out of the airport and collects the non-working technology of the early 2000s to show people what life was once like — can remember well enough, perhaps at least some of the “old world” can be restored. Or at least kindness can continue, in its odd and disparate ways. STATION ELEVEN is a phenomenal novel. It is strong, it is uncompromising, and yet it is somehow very hopeful. Walker’s debut novel, TIMEBOUND, was originally published independently as TIME”S TWISTED ARROW. (But as I didn’t read it or review it while it was an indie — shame on me! — I’m only going to refer it as TIMEBOUND from here on out.) It stars Kate PIerce-Keller, whose real first name is Prudence — but of course she hates it. She’s sixteen, a prep school student in Washington, DC, and is told two things very early on: Her grandmother, Katherine, is dying of cancer. And her grandmother is a time-traveler, marooned in time due to some deliberate machinations by other time-traveling bad actors. Of course Kate doesn’t want to believe this. But Katharine shows Kate a medallion which glows blue; her parents can’t see it, but Kate can. And once Kate is nearly dragged somewhere in time by the medallion, Kate believes that it’s definitely out of the ordinary. Then something happens to alter the timestream. Her parents never met each other, and Kate should not exist; she does solely because she wore one of these medallions (called a “Chronos device”) around her neck when the timestream shifted. And the school she’s been going to doesn’t recognize her, either. Even Kate’s best friend, Charmayne, no longer recognizes Kate. Obviously, Kate is in big trouble. Time-traveling malcontents are out to stop her, because they believe that she can somehow stop them from perverting the timeline and doing whatever they want. And she has next to no allies. Then, a young man, Trey, fortuitously comes into Kate’s life. (Trey would not have met Kate except for the timeline being muddled by the others using the Chronos device for their own gain.) And he decides he’s going to help her, because despite it all, he believes that Kate is telling the truth even though he can’t see the glow from the Chronos device any more than her parents could. Kate’s only other allies are her grandmother and her grandmother’s “research assistant” (a younger man who lives with Katharine and wants the original timeline restored for reasons of his own). This is useful, because it means Kate isn’t entirely alone — but only Kate can use the Chronos device due to being genetically suited for it. Then an attempt is made on Katharine’s life. And Kate must go back to 1893 to stop it. Will Kate manage to survive long enough to save her grandmother? And will her new boyfriend, Trey, remember her if she does? Also, what’s going on with the mysterious Kiernan — a dark-haired, enigmatic young man who seems to know Kate, even though Kate’s never laid eyes on him in her life? All of these questions will be answered. But of course they lead to even more questions…which is just as well, as there are a number of sequels (and prequels) yet to be read and savored. TIMEBOUND’s a fun, fresh, fast-reading YA novel. It has romance, intrigue, derring-do, excellent characterization and plot up the ying-yang. My recommendation? You should grab both of these novels and read them as fast as you can. Then turn around and read them again. And yet again. Grades: TIMEBOUND and STATION ELEVEN both get an A-plus. Go read these impressive novels already!